Here are a few ways you can access PRIMITIVE now! 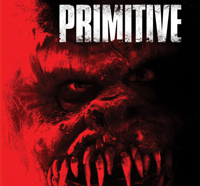 Primitive will be available on DVD, PPV and VOD in the USA on November 19, 2013 courtesy of our good friends at Grindstone Entertainment Group and Lionsgate Home Entertainment! 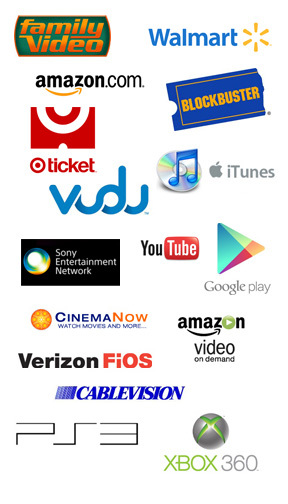 We've started a petition to get our monster movie, Primitive, on the air at Chiller TV. Horror fans have waited a long time for an all horror cable channel, and now that we've finally got one, the SyFy channel has taken them under their wing and they're threatening to ditch indie horror movies in favor of in-house productions. Click here to send a message to Chiller that great horror isn't born out of a corporate board room! Great horror is made by lovers of great horror! Our screening at the Idyllwild 2012 International Festival of Cinema was a big success. Turnout and audience response was amazing. The show went off without a hitch and was followed by a spirited q&a featuring director Benjamin Cooper, and cast mates Matt O'Neill, Gregory Paul Smith (Dino Wolf), Mayank Bhatter and Rachel Riley (8213: Gacy House). Earlier in the day we hosted a special effects demo with artist Mitcheal Toles transforming one lucky volunteer into a Primitive victim, and the monster was available all day for free photo-ops. We met a ton of terrific fans, celebrities, and scored an interview on INd TV. We ultimately left with two nominations, Best Actress Susan Fulton and Best Sound Design Maui Holcomb (Ear Candy Sound). All in all a terrific experience. Thanks to all involved. While fielding offers for foreign representation, Director Benjamin Cooper was super pumped to learn we've been accepted into the Idyllwild 2012 International Festival of Cinema coming up in January. This is the festival's third year and it takes place in the charming town of Idyllwild in the San Jacinto mountains. Benjamin will be present and some other cast and crew TBD. Tickets are now on sale. Director/Producer Benjamin Cooper will be shopping PRIMITIVE at the American Film Market in Santa Monica, CA, Sunday through Wednesday. Stop him to say hi if you see him. The San Luis Obispo theatrical release was a ball. We were covered in much of the local media including the New Times, the Santa Maria Sun, the Santa Maria Times, the Times Press Recorder, the Mustang Daily, the Tribune, KSBY TV, KVEC Radio, and more. The audience responded very positively to the movie, had fun with the q&a and raffles, and the picture looked gorgeous on the big screen. Props to all involved and thank you. Stay tuned for upcoming engagements.